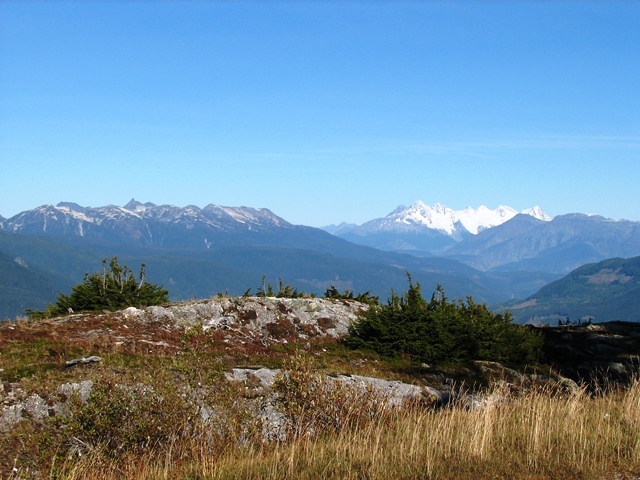 Terrace From Thornhill Mountain | British Columbia ROCKS! 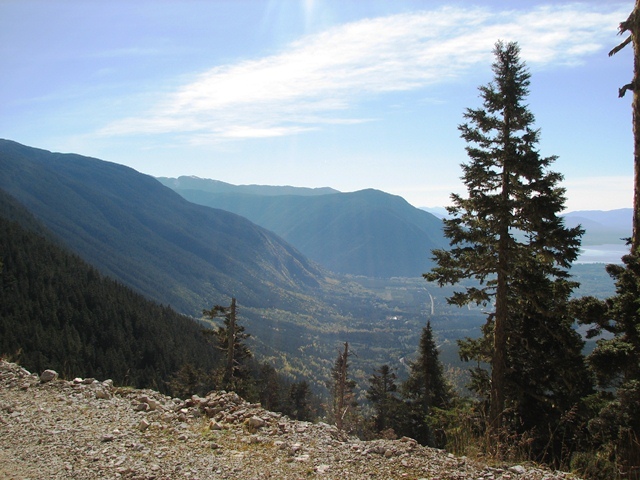 The hike (or drive) up the old mining trail to the top of Thornhill Mountain near Terrace is well worth the experience. The top is 4,158 feet above sea level and commands a wonderful view of the valley’s. The trail, now maintained to some degree by a Utility Company is approximately 4.8 kilometers in length. It has some steep areas if you are hiking and some narrow areas with interesting corners if you are driving anything larger than a regular cab pick up truck. The hike is moderate on foot and narrow in a vehicle, but well worth the effort. From the top the view of the entire area is awesome. The Coast Range Mountains offer a unique look at large snow covered mountain ranges that are impressive by all accounts. If you are hiking the one thing to be ever vigilant about is that bears are very common in this region of B.C. so care must be taken, and precautions for that inevitable encounter. Be BEAR AWARE! 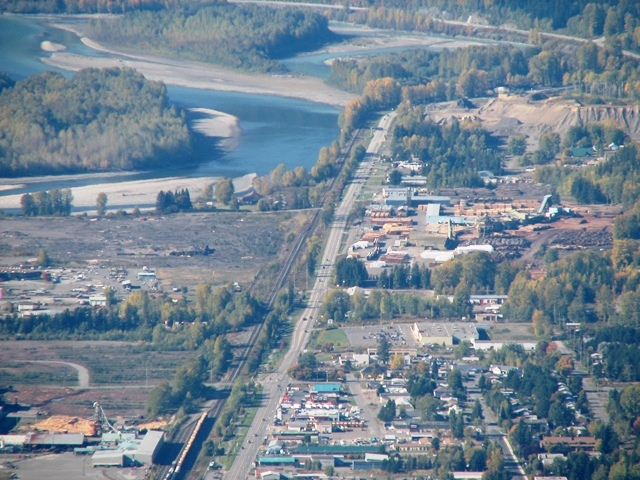 The Skeena River runs through Terrace. Though approximately 90 miles from Prince Rupert and the Pacific Ocean, it is not uncommon to see Seals in the waters around Terrace. These mammals follow migrating Salmon up river toward their spawning grounds. Many Salmon swim this river making it an easy meal for the Seals. 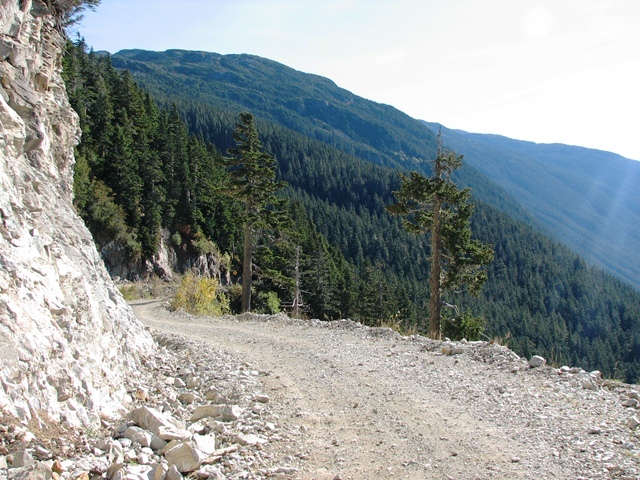 The narrow road/trail with a view toward Lakelse and Kitimat 45 minutes to the South. This is impressive country. Never, ever enter it without your camera as you will be awarded ample opportunities to capture images that you will look at with fondness for years afterward. Enjoy the outdoors. 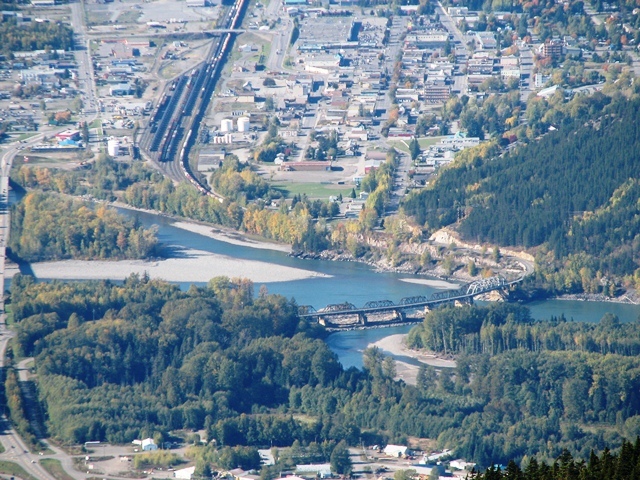 Enjoy North West British Columbia! This entry was posted in British Columbia and tagged beautiful british columbia, british columbia, Terrace, Tourism, vacation, view points. Bookmark the permalink.